Wrist injuries are common among people who use a keyboard a lot. This cool wrist rest pad supports proper wrist alignment. 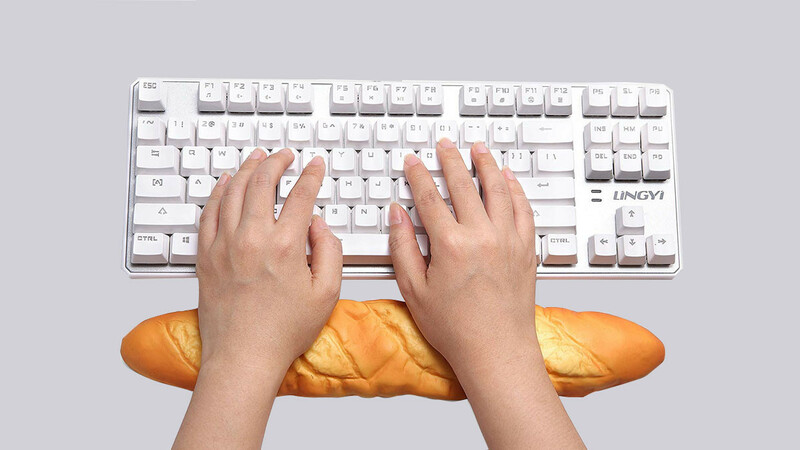 It is sure to entertain everyone in the office because it looks so much like a real breadstick. The wrist rest pad is made of a soft memory elastic. It is comfortable to use and does not slide around your desk. The rest pad will stay in place as you use your keyboard because of the non-slip backing. When in use it molds to the shape of your wrist/hand. It will not lose its shape even after heavy use it will spring back into its original shape.